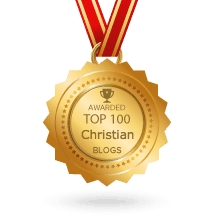 Want to get your blog, website, or ministry added to this list? 1. Is your blog/website devoted to proclaiming the gospel of grace? 2. Does it have a permanent link to Escape to Reality (either in a blogroll, a links page like this, or RSS feed)? 3. Are you passionate about telling people how much God loves them and cares for them? 4. Is your blog/website at least one year old? To get a reciprocal link here, your answers need to be: “Yes, yes, definitely yes, and yes.” At the top of your comment write, “Please add me to E2R’s link page, you good thing!” This page is updated weekly. I wrote a review of your book on Hypergrace. Hi there, I checked out the blog link you provided and it doesn’t seem to have any posts. Am I missing something? Please add me to E2R’s link page, you good thing! Mark, this website link seems to go to a marketplace page. Thank you, Brother! Keep banging the drum of Grace! Hi Alan, you sent me a link to your FB page but I linked to your blog instead. It’s been a while since I inquire a link exchange with you. But you never include the link that I sent you. Please note we only link to sites wholly dedicated to proclaiming the gospel of grace. Thanks. 2. Yes, since I was first introduced to it almost a year ago… just after I had a revelation of grace. I put your link up then, and often share them on FB. If it’s not quite up to par with your other links, that’s okay. 🙂 I just thought I’d like to share if you’d be okay with it. Done! And welcome to the list. Bless you brother, love the blog! We are a grace addicted bunch in Pennsylvania would love to be added to your list! http://www.wherewethrive.wordpress.com my contact email is anthony_anlb@icloud.com We pastor a newly launched community in Bristol, Pa. We don’t have a ministry website just yet but I can update you when we do! Blessings! Thanks for the message. However, I didn’t see your answers to the four questions (see above). For instance, is your website >1 year old? Thanks. Paul , Where’s Andrew Farley on this list ? Farley has some great stuff on Grace . So does Joseph Prince and he’s not here either. Frankly, those guys hardly need any help from me to get traffic. This is a link exchange page for grace bloggers, most of whom have small platforms. Hi Paul! Thanks for listing the website, Unveiling Jesus. About a year ago I started a ministry called Parresia, of which Unveiling Jesus is now a part. Unveiling Jesus is the name of the book, and Parresia is a broader ministry. So if it’s ok, would you mind switching UnveilingJesus.com to ParresiaMinistries.com on E2R? Thanks! please Mr Paul can a website be added when is not up to a year? I enjoy much of your writings, yet what troubled me in continuing to read and enjoy your site is the recomendation of books by preachers who we are to be so aware of , ( I mean the danger) yes some of their writings might line up with grace but so much is crooked and not in the light of Christ. Example J Prince. Honestly I am failing to write down clearly what I mean by this. Though this might be interpreted as lack of love but as our Lord is my witness my heart yearns for understanding from my brothers in this. Well please take care and the grace of Christ keep you. Alicia LaGrone. My website is http://www.alicialagrone.org. The answers to your questions are: yes, yes, yes, yes. I’ve been a fan of yours for years now. I’ve had my site for over 10 years now. I was just updating some pages and realized I didn’t have a link to your site. That was unacceptable so I added you in my resources section. Keep doing your great work for the Lord. and check out my site when you have time. Much love in the Lord, Your Sis-In-The-Faith, Alicia. Hi Alicia. Your site has been added. Thanks.